Most people feel vision is the most important sense we possess. It is therefore vital that we do all we can to protect this valuable asset. You can not afford to be reactive when it comes to your eye health and vision. As you can see, your eye health can be influenced directly and indirectly by many things. ​If you have any of these conditions, or have a family history of them, don't risk damage to your eyes and loss of vision. BAIT AND SWITCH - NOT HERE! At Smith Optometry our philosophy is not to lure you in by offering 2 pair of cheap glasses and a "free" eye exam. Quite frankly, we believe a free eye exam is worth exactly what you pay for it. If you place so little value on your vision then we are not the provider for you. We are committed to providing the highest level of service and a comprehensive examination. 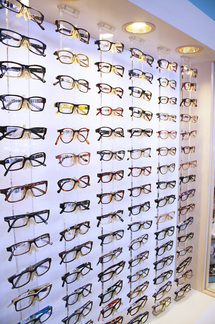 We encourage you to compare our prices for eye wear and contact lenses. In most cases you will find we offer the same products at lower prices. It would be our honor to be the vision and eye health provider for you and your family.